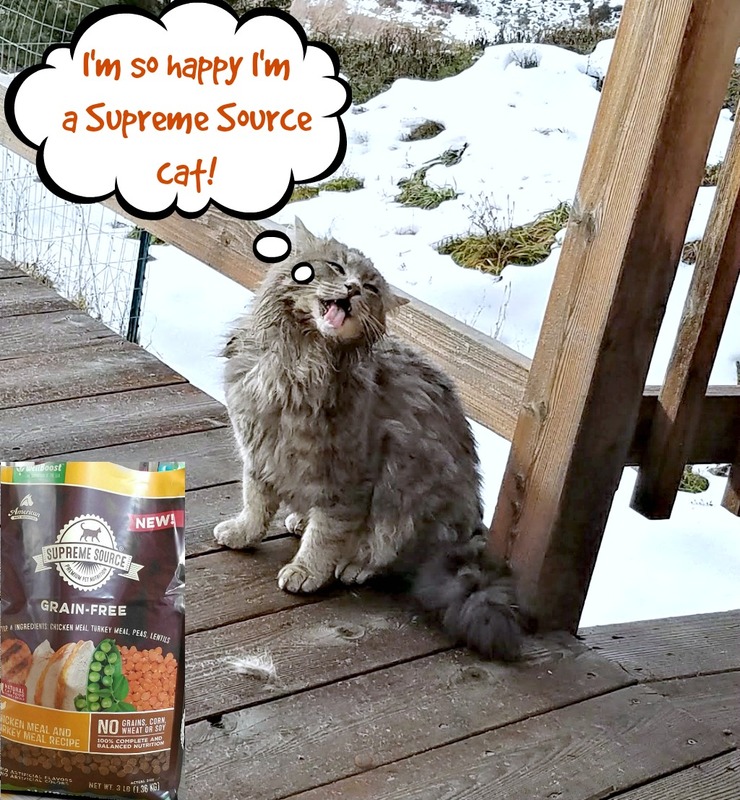 I shared with you in a previous post my excitement about finding a new high quality cat food for the Farm cats from Supreme Source®. 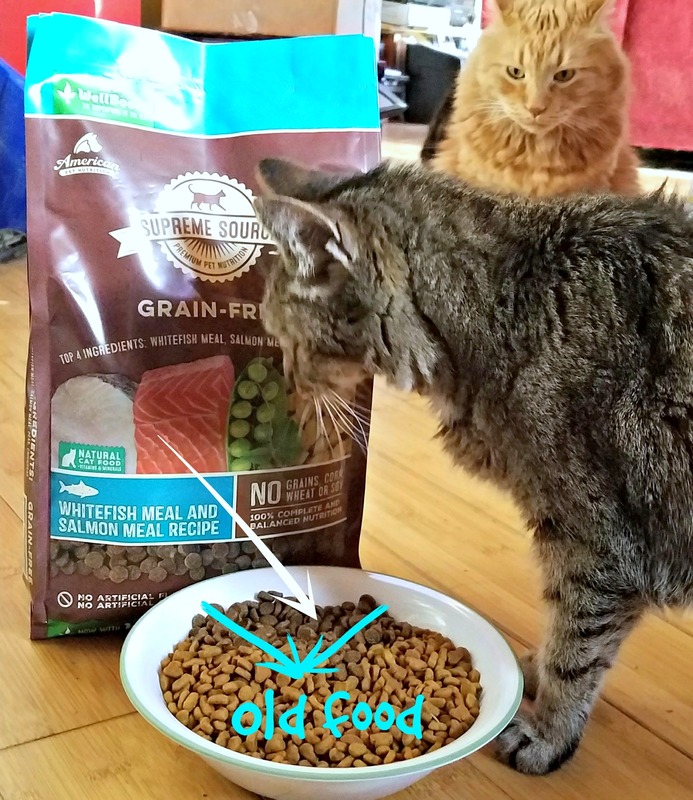 I started the cats on a 10 Day Detox to switch them to the new food – remember to always check with your veterinarian before making any major changes in your cats’ diets. I want to show you how I went about the switch and how it impacted their lives. Feeding the Farm cats a quality cat food is very important to me. Supreme Source is grain free which means it has no wheat, corn or soy. It also made with no artificial flavors or colors – you wouldn’t want to eat fake food so why feed it to your pets, right? To acclimate the Farm cats to their new food I changed over their kibble in steps. 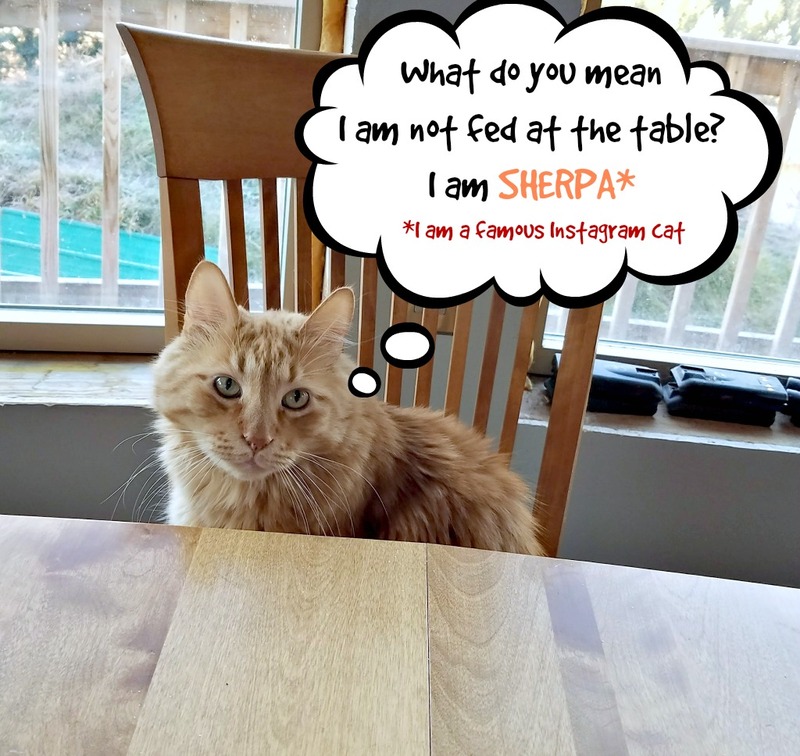 I started by giving them their regular bowl of food but I switched out a quarter of it with the new Supreme Source grain free cat food. Then I slowly added more and more of the Supreme Source until the entire bowl was full of their new food. Now that’s all they get. I did the same thing for Kitty the feral Farm cat. (And it seems the magpies. We have caught them eating Kitty’s kibble. Who knew – magpies like Supreme Source too!) Kitty’s fur has been looking a lot better since he has been eating Supreme Source. He had been looking a touch raggedy; he was having some issues with matting and fur loss. I’m happy to report that in the two weeks since Kitty has been on this high quality grain free cat food his fur has started growing in thick and luxurious. I’m so thrilled to see this! Harry the Farm cat has been a more sprightly boy since he started eating his new Supreme Source grain free kibble. They say you can’t teach an old cat new tricks but I figured why not give it a try? I thought it might be fun to be able to take Harry for walks on a leash. This might lead to my being able to take Harry shopping now and then. How did this work out you ask? Let’s just say that Harry was not as amenable to this idea as I was. I started by putting the harness on him and letting him wear it around the yurt for a bit. He would walk and then flop. It was quite amusing. 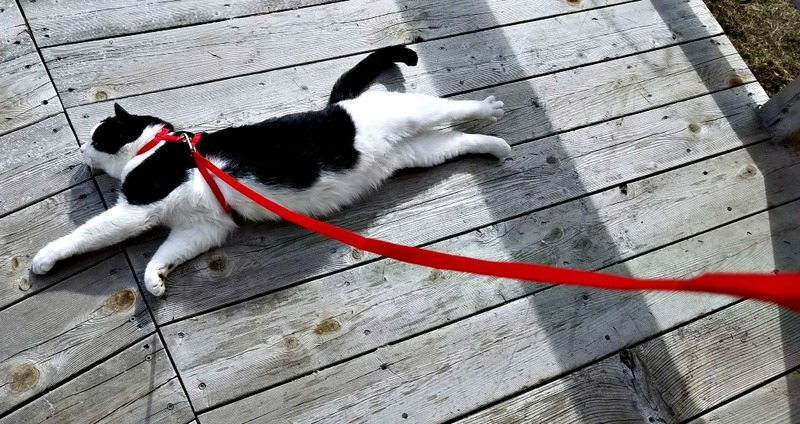 I finally put the leash on him and took him outside. I put him down and he…….flopped. I do not think Harry is going to be the type of cat that I can take shopping. Although he is always going to be the kind of cat that makes me laugh. I am very happy to see him so content though. I am convinced the new food has really done good things by him and all of the Farm cats. Both he and Sherpa have been exceptionally playful the last couple of weeks. Stinky and Pumpkin have been perkier too. It’s as easy as going to SuperFoodSwitch.com! When you sign up this spring, you will get a series of emails offering tips to help you with the transition. We tried the Whitefish Meal & Salmon Meal Recipe and Chicken Meal & Turkey Meal Recipe Cat Food for the detox. 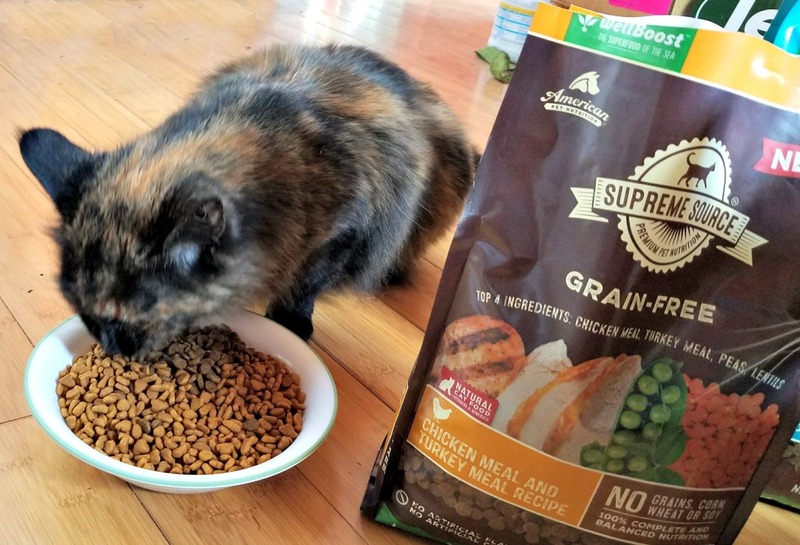 The Supreme Source Grain Free cat food is available at many grocery stores like Albertson’s and Safeway. You can use this easy store finder on the Supreme Source website.